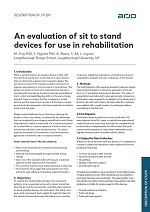 A study by Loughborough University, UK found, during an evaluation of 6 different sit to stand devices for use in rehabilitation, an 'overwhelming preference' for Arjo's standing and raising aid, Sara Flex. 'When a patient requires an assistive device to help with the activity of raising from a seat, there are many devices that can deliver the support and movement needed. The functional movement for transport, patient movement or hygiene requirements is common place in care settings. The design and action of most [standing and raising aids] is considered to be active as the device requires some balance, trunk control and weight-bearing ability in the person being assisted. There is concern that the movement is mostly passive and the support and structure of the device creates and controls all movements in the lower limbs due to fixation at the trunk and knee. 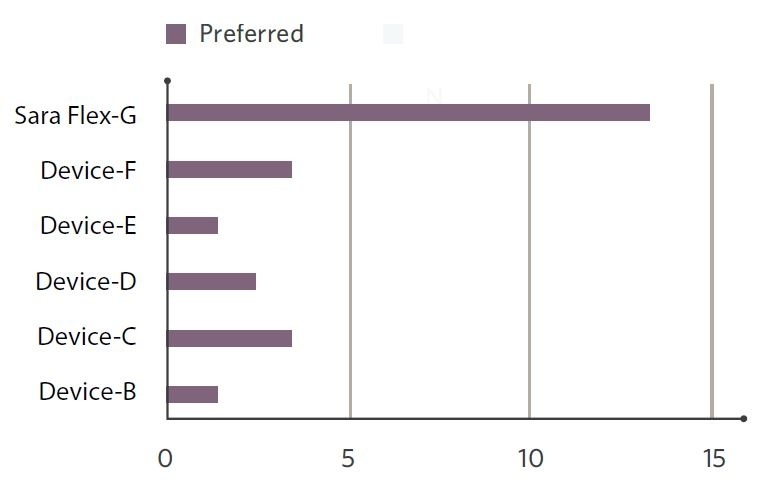 Modern acute healthcare has a clear focus in reducing the length of patient stay. Consequently any advantage that can be gained by encouraging rehabilitation and a faster improvement in ability is welcomed. For a normal unassisted sit to stand there is a known sequence of actions which are not entirely matched in the assisted actions. This study explores the patterns of movement in natural sit to stand (and the reverse) actions compared to assisted actions. To read more on how Sara Flex also allowed more forward knee movement, more bodyweight through the feet and gave one of the closest center of pressure (CoP) movement patterns to the active unassisted transfer, download the full whitepaper below.